With the active support of our team of experts, we are engaged in offering a huge gamut of Process Simulator. Our product range also comprises of DC Electronics Systems, AC Electronics and Semi-Conductor Devices. In the wake of the ever rising demand for reliable products, we are engaged in offering a wide assortment of Process Simulator. 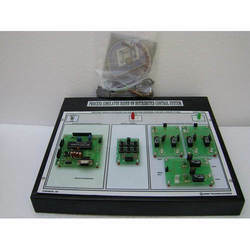 This high grade simulator offered by us is based on latest computer technology. Our equipment is widely appreciated for their multi tasking sequence controls that offers different cycles of operation as required for ECE/EEC/ISO/SAE/FMVSS or any other laboratory schedule. We take into account the global quality standards and offer suitable range of products. Looking for Process Simulator ?